SIRANE’S new online shop, our pouch-filling line and our plastic-free packaging will be the star attractions on our stand at the Farm-Shop and Deli Show 2019. Some fantastic packaging solutions for butchers, farm-shops and delicatessens, our Thinking-Cooking range, as well as supplies for florists, can be bought direct. Sirane’s award-winning plastic-free packaging ‘Earthpouch’ will also be a major focus – and we’re introducing the pouch in three standard sizes to our online store. 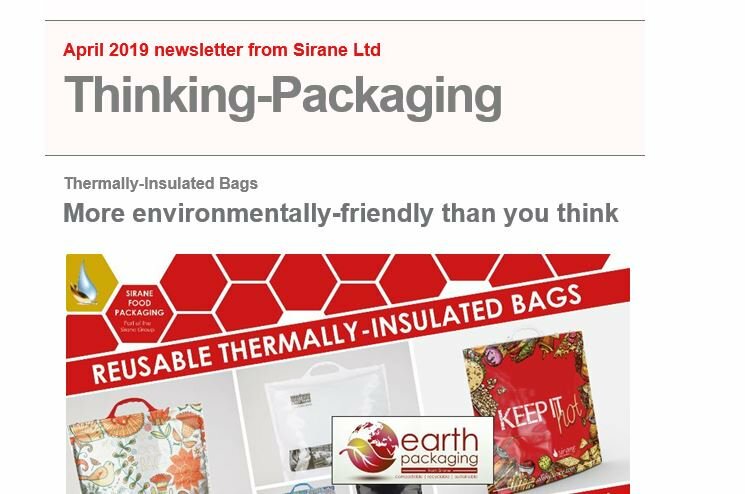 Simon Balderson, Sirane MD, said: “Earthpouch is a plastic-free solution, a paper-based material with a plastic-free coating which is perfect for a range of products. We’ve repeatedly been asked about supplying a plain pouch for smaller orders, and so we’ve taken three popular sizes and added them to our online offer. The Farm Shop & Deli Show runs at the NEC, Birmingham, from April 8-10, 2019. Our stand at the show is K71 – close to the Farm Shop Live theatre. We’re also exhibiting at AusPack in Melbourne, Australia, where there will be a chance to meet the new Sirane Australia team. Visit them on Stand A226. AusPack runs at the Melbourne Convention Centre from March 26-29, 2019.